Apache ServiceMix (http://servicemix.apache.org/) is a great integration container that makes processing and transforming data from different sources easy. For example, if you need to constantly poll a directory for a CSV file and then process it into the database, Apache ServiceMix makes that process easy to create. List of supported ServiceMix endpoints. 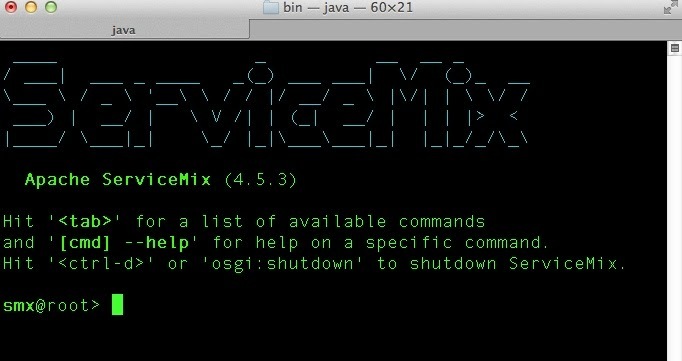 This is a quick cheat sheet on how to set-up and use Apache ServiceMix. The sample project will show how to use Apache ServiceMix. 1.) 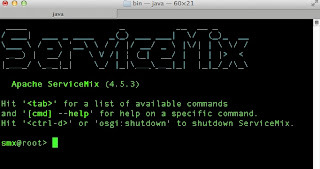 Download the default or full assembly at the ServiceMix download page. That will automatically deploy the app. My evolving online bookmarks of interesting articles about software development. To help troubleshoot a web application, it is useful to print out information about the JEE server and the HTTP request. I created a JSP page called serverinfo.jsp to display information about the server, Java memory, classpath, HTTP Session, and cookie. I have used this tool numerous times in production to troubleshoot issues with load balancing, dropped sessions, bad cookies, and OutOfMemoryExceptions.